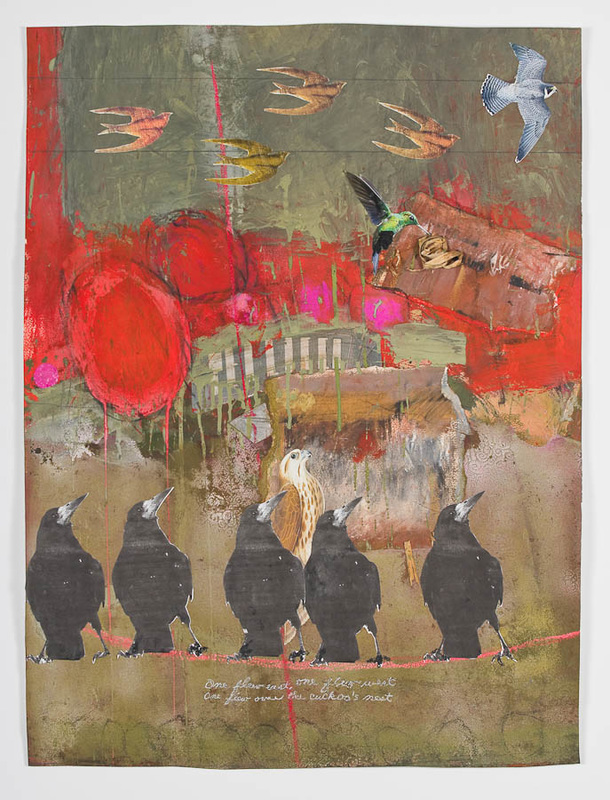 The Phoenix Gallery is honored to present Cecily Barth Firestein’s 50th one-person exhibition “Birds of a Feather.” An artist member of the Phoenix Gallery since 1959, Cecily is an octogenarian painter, printmaker, collagist and art teacher. Her work has been shown in the United States and abroad in galleries, museums and embassies since the 1950’s. "One Flew East, One Flew West, One Flew Over the Cuckoo's Nest"